Oregon..... our home state produces 99% of the U.S. hazelnut crop! 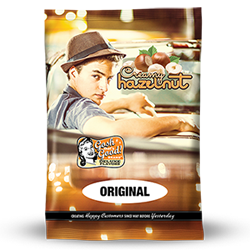 Seeing as our home produces 99% of the U.S hazelnut crop, it’d be a shame not to create our very own Creamy Hazelnut flavoring. The sweet buttery taste of toasted hazelnuts added to any hot, iced, blended or smoothie beverage will have your customers coming back again and again. Better than any syrup or sauce and with no preservatives. Easy to use, shelf stable and so delicious you’d be nuts not to try some. Add 2 scoops of Creamy Hazelnut ™ into 12 oz. cup. Add 2 scoops of Creamy Hazelnut ™ into a mixing colander. Add 3 scoops of Creamy Hazelnut ™ into blender. 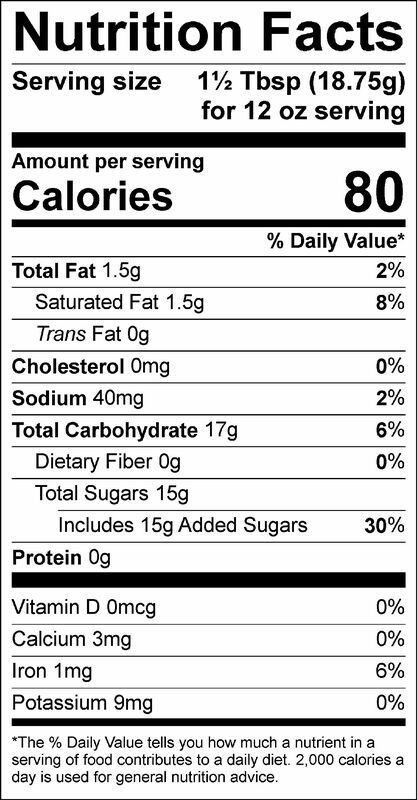 Sugar, non-dairy creamer [coconut oil, maltodextrin, sodium caseinate (a milk derivative), mono-and diglycerides, dipotassium phosphate, silicon dioxide, soy lecithin], natural and artificial flavors, cellulose gum, salt, tri calcium phosphate (anti-caking agent).